Seven interlinked Work Packages have been created. Survey and Data Management (WP1) is linked with the work packages related to the different scientific areas: Benthic Habitats Characterization (WP2), Pelagic Habitats Characterization (WP3), Identification and Characterization of Antropogenic Pressure and Impact (WP4). The collected data will support the development of a Sustainability Plan (WP5). The results obtained will be disclosed to the scientific community and to the general public (WP7). Scientific Coordination and Meetings Organization (WP7) is a overall activity enclosing the previous work packages. Coordination of the surveys and to build a reference collection with biological samples collected during the oceanographic cruises. The reference collection will be on charge of the museums that participate in the project, nameling, MUHNAC and MMF. Seabed habitat classification and large-scale mapping. Addressing knowledge gaps regarding MSFD biodiversity descriptors. Obtaining/improving knowledge on VME indicator taxa distribution to develop habitat suitability models. Characterising benthopelagic fish species composition and assemblage structure. Testing the proof of concept of seamounts endemicity and their role as “stepping stones”. Providing voucher specimens for museum collections. To address the anthropogenic pressures resulting from fishing, navigation and other activities in seamounts of the Madeira-Tore complex (Gorringe, Josephine, Seine, Lion, Unicorn and selected seamounts along the Great Meteor complex (Pico-Sul, Tiro, Irving and Great Meteor). WP5 addresses the practical questions about the sustainable use of natural resources (both living and non-living) associated to seamounts in the Madeira-Tore and Great Meteor complexes. The material output expected from the WP5 exercise is a working document with state of-the art information and strategic guidance towards sustainable forms of human use in the two pilot areas. There will be also a long-term investment towards better coordination among stakeholders from different sectors that are relevant to the management of activities in these areas. 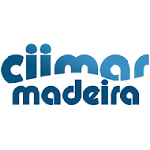 To promote and publicize the scientific knowledge and research on the biodiversity characterization of the selected seamounts on the Madeira-Tore complex and Great Meteor. To foster ocean literacy about the seamounts’ ecosystems. To cast a productive dialogue on sustainability issues related to the areas of study. To stimulate the project’s awareness to a wider audience both scientific and non-scientific. To optimize coordination of activities, communication and samples/data sharing and management among the consortium. To keep project on track and products delivered on time. Efficient planning and coordination of the multidisciplinary oceanographic surveys.